The project Turfiction explores how the Icelandic turf house can help us to think through questions about “the possibility of life in capitalist ruins,” to use the words of anthropologist Anna Tsing (2015). While fronting arduous questions of how to face contemporary circumstances, acts, and future imaginaries, looking towards the turf house might seem curious, as the Icelandic turf house has in fact taken the place of ruined traces in the Icelandic landscape. The varieties of the turf house have gone extinct. Just like the swamp, the turf house was considered an obstacle to modern progress and affiliated with shame, foulness, diseases, and consequently, brutally eradicated (Hafsteinsson 2010). While the importance of the swamp has been recognized, the turf house, with its nonhuman and human fragility, sensitivity, intellect, and aesthetics, has been left to the imagination, gut, and (de)composting. Turfiction evokes the turf house as a speculative terrain, if not fictional. 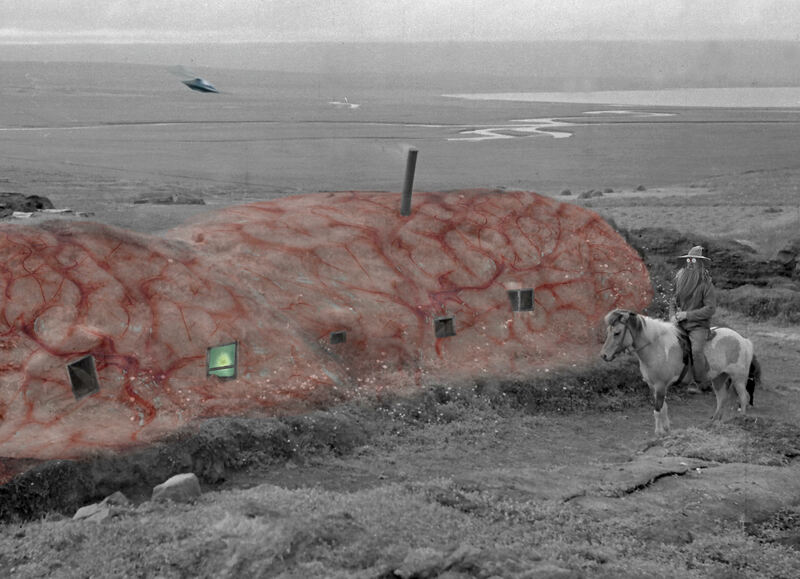 Instead of simply perceiving Icelandic turf-house architecture as extinct cultural edifices and therefore as purely in anthropocentric terms, we approach the turf house as a living organism. As such, it is not an extension of humans but rather an extension of the swamp. Turfiction opens a passageway through the corridors and chambers of the swamp and contends that a need has emerged for humans to pass through it in order to redirect and redefine human perceptions and experiential knowledge production for the future. It explores socio-material entanglements, multispecies relations, time, and space as essential elements of the importance of creating architectural assemblages of a dependent and growing coexistence (see Papadopoulos 2010 and Puig de la Bellacasa 2015). As such, Turfiction becomes a technology for an urgent recharging and shaping of contemporary and future senses, a catalyst that deems it necessary to demolish disciplinary dogmas in the ways in which architecture has hitherto been thought. The mucous membrane, tissue, and the bowel of the turf house—this intestine architecture—originates from the swamp, which gives it an amorphous form. The turf house does not have clear boundaries— spatially or temporally. In perpetual motion triggered by human and nonhuman agencies, the turf house is always unfinished. Coproduced and a cohabited, the turf house requires constant care, involvement and work. It consists of distributed agencies and ruptures. New species immigrate and others disappear, matter such as stones erodes, organisms and plants decompose, soil forms and dynamic hyperobjects like water agitate its structure. The turf house expresses and is constantly transversed between powers of striating and smoothing (Deleuze and Guattari, 1988). It is simultaneously a subject of scales and anarchist nature of matter. In building new narratives and making room for nonhuman others, relationality, and creative involvement, it is fitting to turn to the ontology of the turf house to imagine alternative and more swamp-bound temporalities, rejecting today’s “bottomless instantaneity” (Gielen, 2014:27). The turf house, consisting of complicated root systems, soil, fungi, mycelium, bacteria, microbial colonies, water, plants, lichens, stones, wood, insects, mice, cows, and sheep, to name just few, is a complex multispecies assemblage. It not only depends on microorganisms as the key builders of turf and rhizomatic root growth, its architectonic space is formed by multispecies interdependence, for example, for heating purposes; the baðstofa was at times built above the space that housed cows and sheep (Lárusson, 2016). As such, the turf house is evoked within the framework of Haraways’s concept of sympoiesis or making with (Haraway, 2016:33). An ecosystem of humans and nonhumans, the turf house adjusts our attention to more than human growth, life histories, scales, times, and agencies. Such insights and alternative entanglements may enhance our human sensorial apparatus and enrich sensory perception with sensibilities characteristic to the nonhuman sphere and have “implications for how we live together and how we belong in communities” (Puig de la Bellacasa, 2017: 176). 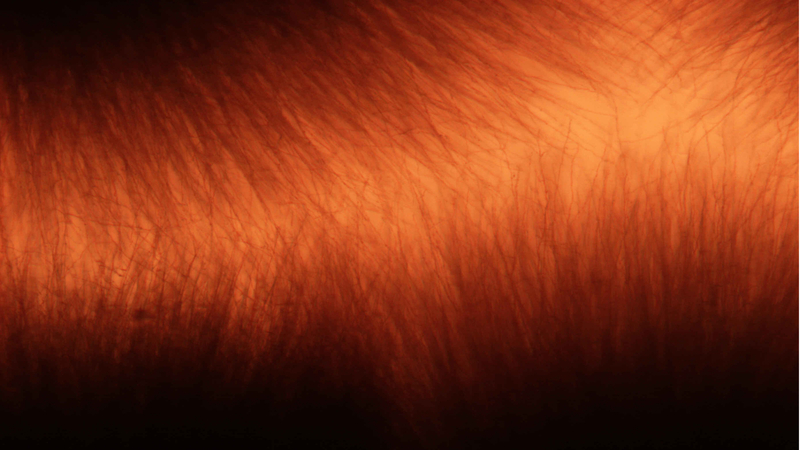 Turfiction absorbs, carries, and transmits histories and narratives of growing coexistence where interspecies relations are intensified, constructions of bounded individual rejected, and human exceptionalism dismissed. Constructing a view of the “common liveable world” (Haraway, 2016:45) is central in developing an imagery that reacts to the urgency of the present and the need to disrupt the linearity of the story and who belongs in it. Deleuze, G. and Guattari, F. 1988. A Thousand Plateaus: Capitalism and Schizophrenia. London: Continuum. Gielen, Pascal. 20 “Situational Ethics: An Artistic Ecology.” In The Ethics of Art: Ecological Turns in the Performing Arts. Guy Cools and Pascal Gielen eds. Amsterdam: Antennae. Pg. 18-40. Hafsteinsson, Sigurjón Baldur. 2010. “Museum Politics and Turf-house Heritage.” Þjóðarspegill.Rannsóknir í Félagsvísindum Xl. Reykjavík: Félagsvísindastofnun. Pg. 266-273. Haraway, Donna J. 2015. “Staying with the trouble: Anthropocene, Capitalocene, Chthulucene.” In Anthropocene or Capitalocene? Nature, History, and the Crisis of Capitalism. Jason W. Moore ed. Oakland: PM Press. Pg. 34-76. Haraway, Donna J. 2016. Staying with the Trouble: Making Kin in the Chthulucene. Durham and London: Duke University Press. Lárusson, Hannes. 2014. “The Icelandic Farmstead.” Warsaw Almanac. Pg. 523-543. http://almanach.muzeumwarszawy.pl/wp-content/uploads/sites/11/2014/07/hannes_larusson1.pdf. Papadopoulos, Dimitri. 2010. Alter-ontologies: Towards a constituent politics in technoscience. Social Studies of Science 41(2) 177–201. Puig de Bellacasa, María. 2017. Matters of Care: Speculative Ethics in More Than Human Worlds. Minneapolis: University of Minnesota Press.